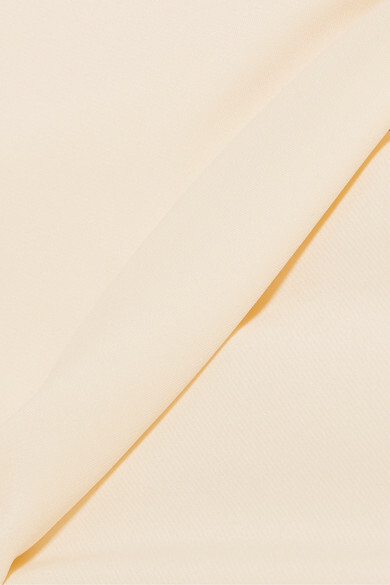 The Row's cream matte-satin camisole is cut for a slim fit and ever so slightly flares at the hem to skim your hips. The slim straps aren't adjustable, but it's perfectly cut to stop low on your décolletage. We like it solo or layered over a turtleneck. Shown here with: Lanvin Pants, The Row Shoulder bag, The Row Pumps, Chloé Belt, Alighieri Necklace, Jennifer Fisher Ring.